Like a killer scarf or a one-of-a-kind necklace, your nail color can be a key accessory. Whether you get your nails done at a beauty salon or use a drugstore nail polish, the secret to the ideal mani-pedi is great nail polish. Because there's really nothing like the feeling of freshly lacquered nails. And since we live in the age of instant gratification, we expect a lot from our nail polish. For starters, nail color choice is of the utmost importance: The nail color has to speak to you, be in season and fit the event you're attending. Beyond that, the nail polish has to offer a good value (read: long-lasting and not too expensive) and look the same way on your nails as it does in the bottle. Plus, since we're always looking for ways to slice time off our beauty routines, we also want our nail polish to dry superfast. Finally, our nail polish must be chip-resistant. Think our standards are too high? 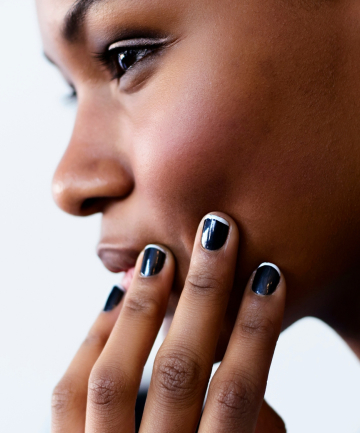 Or can one nail polish really do it all? Our readers tried and tested many a nail polish to weed out the not-so-great ones from the gems. Here, the 13 best nail polishes. I think I have to try the Rimmel polish now. 9+ rating and only $2?! Totally agree with all the picks in this article, especially Essie, my fav! Wet 'n' Wild pricing is fantastic and it is a good nail polish if you use a good base coat and a super top coat, like Nails Alive. I always go back to ESSIE! And Seche Vite makes a nail polish thinner, I think it's called Restore? Really does the trick! Also their top coat is the best I've found. I like Avon, China Glaze, and one which wasn't mentioned--CoverGirl's "Outlast Stay Brilliant Nail Gloss." It has a built-in topcoat and looks fresh for more than a week, even with vivid shades! I believe I'll try the Avon brand.